Tygre, 16 Oct 2015I have a question regarding the Lumia 950 XL: the 20mp pureview camera - is it the same as the... moreThis is a different sensor and lens from 1520. I don't understand what you mean by 'tempered glass protector'. But the camera portion(the black circle on the back) is bigger than 1520.
while in continuum mode, can this run *.exe file or only *.appx ? Does Windows Store has Widget? I like the Widget from Google Play. If it does, that will be great! AnonD-304400, 14 Oct 2015Pls can u use any song as ringtones on like on android Yes as long it's on your device. 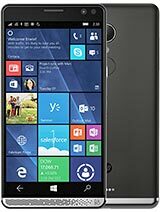 AnonD-304400, 14 Oct 2015Pls can u use any song as ringtones on like on android My 1520 running Windows 8.1 can use any music of my choice as a ringing tone, so yes you can do that. Popular apps are less likely to develope an app for windows phone because of device, not because of windows os. A device that less powerful are giving headache to them. 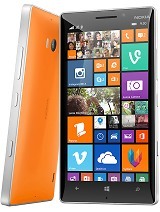 Now the windows phone is keeping up, apps developer will have their attention. So sit back and have to wait for it to grow. Before iphone become a big deal competitor, i use the iphone 3gs and yes there were not fun to have less apps and blacberry is a top contenders. But now look how apple grow. 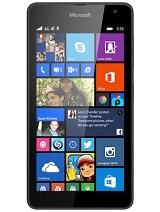 Now its windows phone to experience that. Be patient my fellow windows user. Does somebody knows if this device is AWS capable? 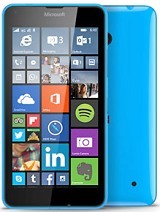 aaa, 14 Oct 2015windows 10 has built in support for Android apps ( project astola). now a days windows store a... more That's good for all Wd phone users, but I heard the project would became a reality only after a couple of Years i.e not before 2017. In the mean time, Microsoft should give more attention to downloaded video file management. 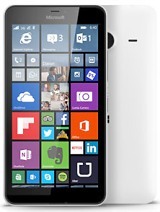 aaa, 14 Oct 2015windows 10 has built in support for Android apps ( project astola). now a days windows store a... moreThis is untrue. The project name is astoria. It's intent is so that app developers for android can port their app to windows platform using the same source code as their android app. This is one of the three projects under the microsoft bridge program. 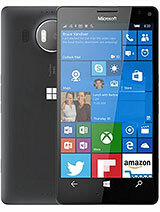 Windows mobiles will NOT run android apps. The articles about running them on windows phone were actually EMULATED on to a windows phone. If you aren't familiar with emulators, it created a virtual instance of an OS, android in this case, and the virtual instance runs the app. This results in a lot of inefficiency and results in the app running like crap. A phone with substance. I don't need slim phone but what I need is removable battery and memory slot. Samsung, can only sync offline with Outlook 2013. Apply can sync with Windows Contact (offline). 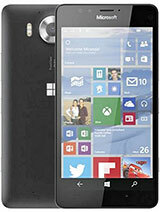 I bet this phone can sync with Windows Contact (offline) too. I dont feel comfortable to upload my contact to Gmail or Yahoo. Too much hackers these days. 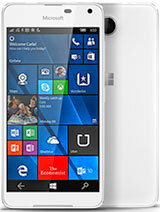 I going to sell my Samsung Note to get this phone. Samsung cannot make it anymore as whatever Apple does, they just copy such as non-removable battery, no memory slot, upcoming force touch, Samsung Pay etc... Where's the innovation and class of its own? Microsoft really impress me this time. windows 10 has built in support for Android apps ( project astola). now a days windows store apps increase sufficiently. Ms focusing on apps store to increase the number of apps. other this it had universal app for this purppose.